Jeannie Scifres, Jenna Klein, Lisa Marotta at my signing. 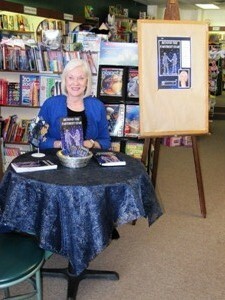 Had my very first book signing EVER yesterday, and it was quite a rush! I have to admit, I was a bit...okay, VERY anxious about it, but it turned out to be a wonderful experience. 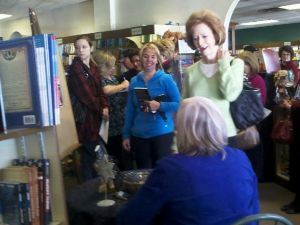 Many, many good friends came--and bought books!--and the people at Best of Books in Edmond were so gracious. If you've read my book, I want to hear from you. Leave a comment or contact me at my gmail address. Let's start a conversation! Best of Books is wonderful! I'm so glad you had a good experience. I just finished your book last night and thoroughly enjoyed it. Mike Allbright is my new imaginary boyfriend. Fabulous photos! I'm so glad it was wonderful. A sweet book, a great friend, a wonderful bookstore-- who could ask for anything more? When is your next gig?